In the heart of Iowa sits Des Moines, the state capital with a small population of just over 200,000, according to U.S. Census data. Local media has been continuously reporting on the steady job expansion the area has recently seen. Before we take an in-depth look at the boundless opportunities available in the area, it's important to understand what the city can offer those who move there. Des Moines is the most populous city in Iowa, accounting for roughly 7 percent of the state's total population. However, an even greater number find work in the city, as its labor force reached nearly 340,000 in February 2016, according to the Bureau of Labor Statistics - almost double the city's population. The region experiences all four seasons Mother Nature has to offer, with an average annual high of 60 degrees Fahrenheit, a low of 41 degrees, snowfall totaling 35 inches and rainfall at 36 inches, according to U.S. Climate Data. 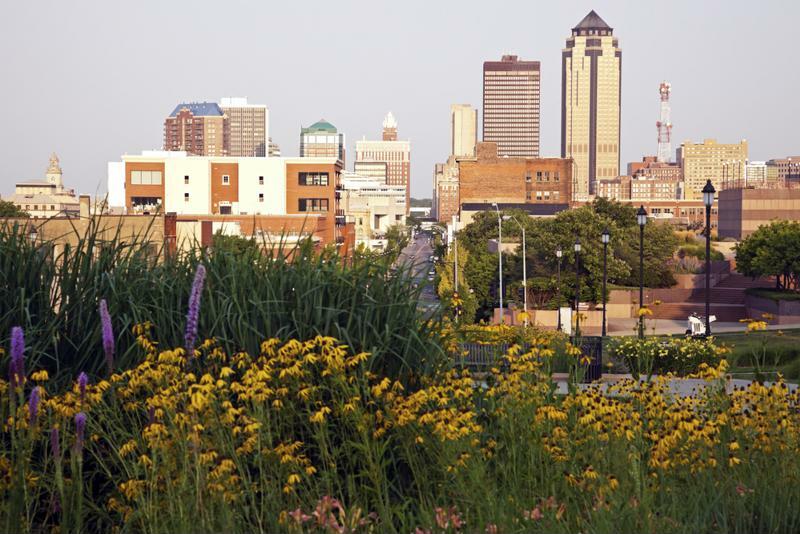 Despite its relatively small size, Des Moines has a ton to offer to residents. The center of the city is sprawling with bars and clubs, as well as a number of restaurants, ensuring that everyone will be able to find the perfect area to spend their weekend. Though Iowa does not have any professional sports teams that call the state their home, Major League Baseball's Chicago Cubs Triple A team, the Iowa Cubs, plays in Des Moines, as well as the American Hockey League's Des Moines Buccaneers. Avid sports fans will enjoy the affordable ticket prices while still getting the opportunity to see up-and-coming talent play their hearts out for a chance on the big stage. A number of semi-professional teams play at the Wells Fargo Arena as well. College sports fans will also have their pick of teams to follow; Drake University sports a full array of Division I athletics teams, and Iowa State University, the University of Iowa, and the University of Northern Iowa are all less than two hours away. Speaking of higher education, one aspect of Des Moines that sets it apart is its intellectual capital. "One thing that really stands out to me in the Des Moines market is not only how healthy the local economy is, but how educated and well-rounded the entire workforce is," says John Majeski, Division Director of Beacon Hill Technologies in Des Moines. "It's a very exciting place to be right now, and I am eager to see even more growth in the upcoming years." Des Moines plays host to a population of roughly 200,000. Other attractions in the area include the Des Moines Art Center, the Blank Park Zoo, the Greater Des Moines Botanical Gardens, and Prairie Meadows, a racetrack casino. Those interested in politics may also be pleased to find out Des Moines houses the Iowa State Capitol building. Des Moines' one-of-a-kind economy offers a litany of opportunities to job seekers of all experience levels. In November 2015 the unemployment rate reached a remarkable 2.9 percent, almost half the nation-wide average at the time, according to the BLS. The area boasts an extremely healthy financial and business market, with new jobs steadily growing monthly. Around 55,000 work in the financial sector, which has experienced a job growth rate of 4.7 percent over the last year. Another 46,000 are employed in the professional and business services industry, which grew 3.6 percent between 2015 and 2016. Trade, transportation and utilities compose the largest segment of the working force with 66,000 employees, and a growth rate of 1.5 percent. Nearly 43,000 work in government, and 48,000 work in education services, which last reported a steady growth of 2.1 percent. Though the region is small, its economy is bustling and serves as a perfect starting point for job seekers looking for a fresh start.